While many people may think that all paper is alike, nothing could be farther from the truth. There are different styles and weights of paper. These different styles and weights create different qualities of paper. These different qualities of paper will in turn create different prices for different types of paper. However, to regulate these different styles and qualities of paper, there must be a way to measure the weights of the paper, accurately. Paper scales are designed for these exact purposes. 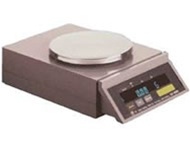 Paper scales are used to provide accurate measurements of the weight of paper. To determine paper weight, you must find the average weight for one ream of paper in that type of paper’s average size. It can be difficult to find this type of weight, because different types of paper can weigh the same amount, yet still be different thicknesses. The best way to measure paper weight is to use a paper scale. Paper scales are also used to measure the weight of paper in grams per meters squared. This means the weight of the paper is measured as it relates to a square meter of paper. If your business is in need of paper scales, give us a try. Arlyn Scales can provide you with high quality paper scales made with the highest quality workmanship. Contact us today! You will be sure to find reliable, durable, and accurate scales that will meet the needs of your business. Let us help you find quality paper scales that can meet the needs of your business.